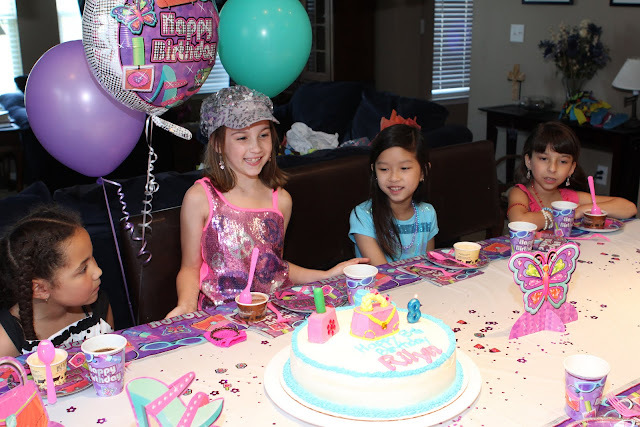 Rilyn had her 8th birthday party on Saturday! 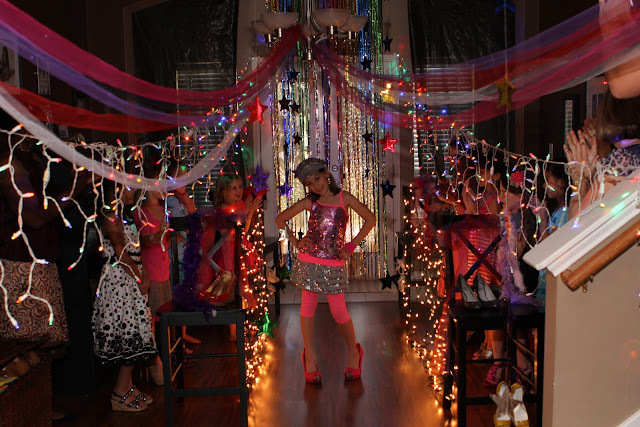 It was her idea to have a fashion show theme, and it was up to me and James to make it happen! The night before, all our thoughts came together, and we dug out the Christmas lights, blacked out the windows, used some old tulle, and opened the party decorations I had bought. James did an AMAZING job of putting up all the lights. 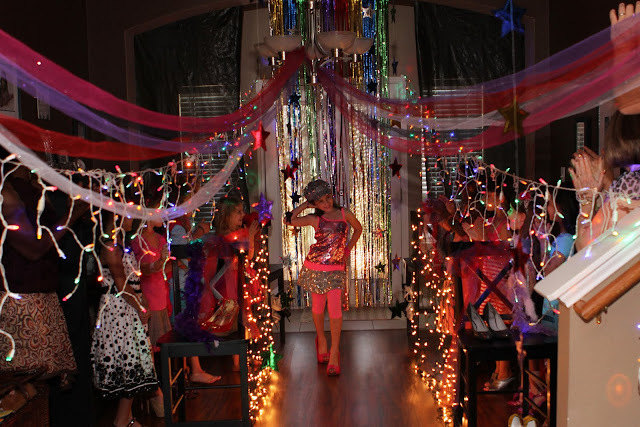 He also made a fun playlist of fashion show songs for each girl to walk down the runway to! I’m so blessed to have him super involved in my OCD party planning! 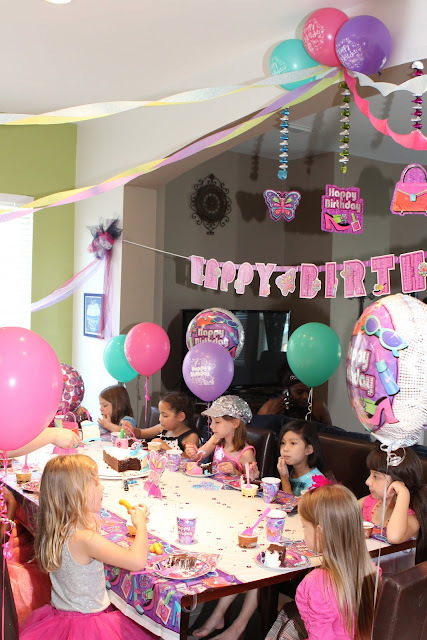 Rilyn said it was the best birthday party ever, so we think we accomplished our “runway” look! 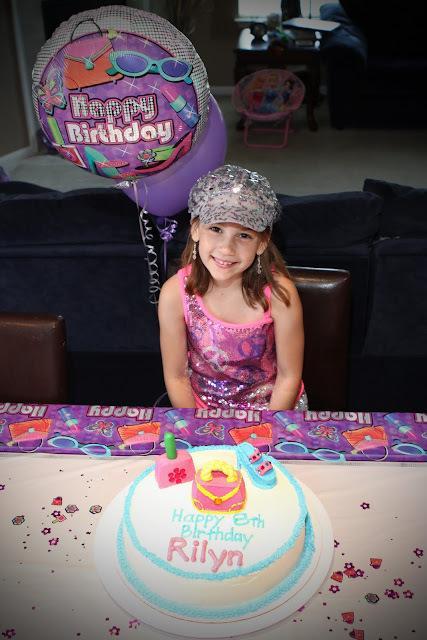 we had one happy model! strutting her stuff in mommy’s heels! Speaking of heels, my sister, a self-confessed shoeaholic, loaned us MANY of her high heels for this party! 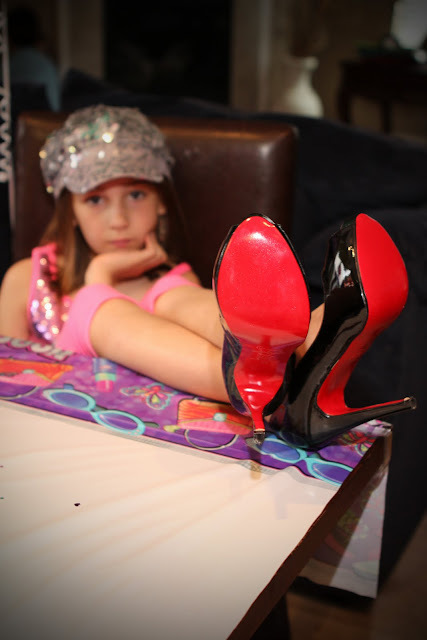 As I was going through the bag of heels, I was shocked to see she let Rilyn use her Christian Louboutin heels! I asked her if that was a mistake, and she told me that my girls could HAVE them (they were too small for her)! So now my girls have some pretty sweet shoes to wear when prom comes one day! Rilyn doesn’t even know about brands yet, (which I love! ), but I know one day she will appreciate this picture! My dear friend made Rilyn’s beautiful cake! a nail poilsh, purse, and high heel on top of the cake! 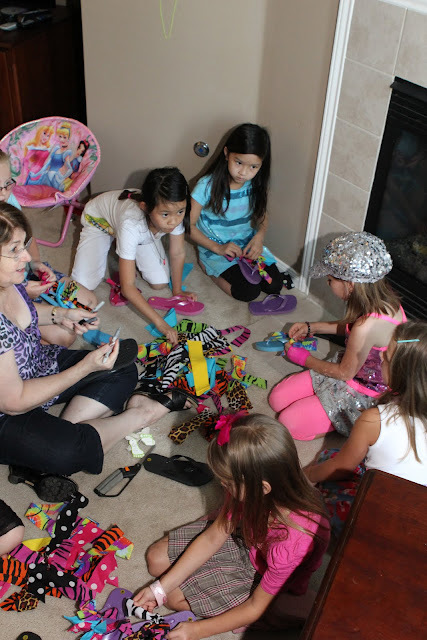 At the beginning of the party, while her friends were arriving, the girls decorated flip flops with strips of fun fabric! 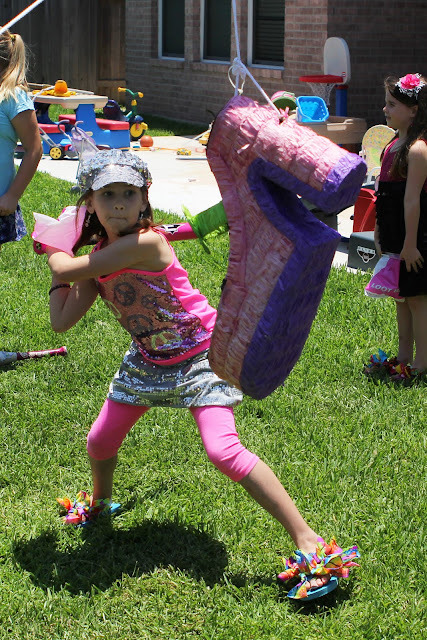 After the flip flops, we headed outside for pinata time! 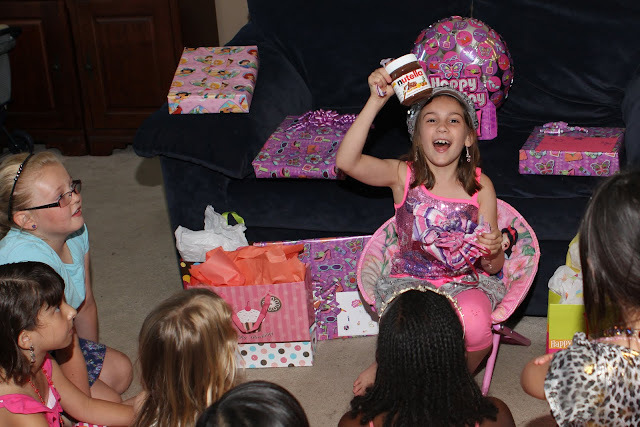 Lots more of Rilyn’s birthday traditions/festivities to come this week! so clever! so fun!! so well done! !